From repair history to technical specifications, helpful maintenance reminders to the latest Toyota offers, My Toyota makes taking care of your vehicle easy. We all have our little mishaps on the road. Whether you've had an accident, puncture, locked your keys in the car, or your Toyota suffers a rare mechanical failure, we're here to support you – even if you've simply run out of fuel. We provide peace of mind, so you know that whatever goes wrong, wherever you are, we're only a phone call away. All from £6 per month. Roadside assistance throughout the UK, 24 hours a day, 365 days a year. If the AA is unable to fix your car at the roadside, or arrange prompt local repair at a Toyota Service Dealer, they will take you to a single destination of your choice within the UK – regardless of how far this might be. Caravans and trailers up to 26ft in length are also covered for recovery, but only if your vehicle needs repairs. Roadside assistance in 44 European Countries, 24 hours a day, 365 days a year. If your car breaks down in Europe, our English-speaking operators are a call away. A free replacement car for up to 48 hours. (Subject to status. Available only to people over 21 years of age. You may be asked to show a valid driver's licence and pay a fuel deposit, which can be refunded, providing the vehicle is returned with a full tank of fuel). Up to £150 for each person towards one night's hotel accommodation and breakfast for you and your passengers. (Maximum £500). Up to £150 for each person towards the cost of onward travel arrangements that you make yourself. (Maximum £500). AA assistance if you break down at your home. It's rare for us to get in touch about a recall, but we always want to be completely clear and honest about everything we make. 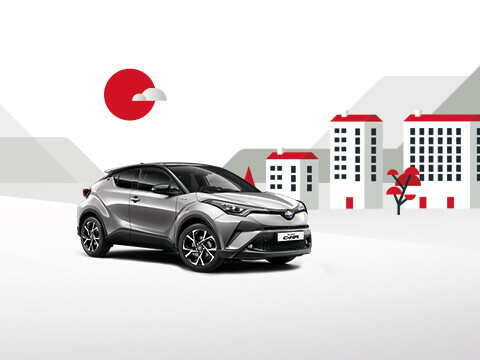 So if you think your Toyota might be affected in any way, then use our simple online Recall Checker now. Or call if you'd like to talk to someone.